I really love reading through old Brentford programmes from years gone by. I can wallow in nostalgia and read about the exploits of the heroes of the past. But you never really know what hidden gems you are going to find. Time after time you read the same Pravda-like excuses, rewriting of history, and half-truths from the programme editor and team management alike. I mentioned last week the grudging, feudal and half-baked send-off given to the “Terrible Twins” George Francis and Jim Towers, when they were peremptorily sold off to Queens Park Rangers. Almost three hundred goals and years of devoted service between them merited no more than a terse single line of farewell in the next home programme. Mr Brentford, Ken Coote, had dramatically missed a potential match winning penalty with five minutes to go in a local derby with Crystal Palace which eventually ended all square. Some spectators (after the kick had failed, of course) declared that the penalty should have been entrusted to Bragg or Towers, conveniently forgetting that neither of those players converted his last penalty kick for the League side. It was Brentford’s third penalty miss of the season, but this was the first one to make any difference to the result. Now where have you seen or heard that before? Remember the mini-fracas and pow-wow that took place before Marcello Trotta finally took that fateful season-defining spot kick against Doncaster, with Clayton Donaldson and Bradley Wright-Phillips both interfering and hindering Kevin O’Connor in his efforts to do what had previously been agreed, and take the penalty kick? Who knows what would have happened had fate and his team mates not intervened. I am quite certain, however, that Kevin would have slotted the ball away calmly and accurately low to the keeper’s right as Neil Sullivan dived the wrong way and given the season a fairy tale ending. I have it on extremely good authority that in the week leading up to the Doncaster game, Kevin had studied footage of every recent penalty kick faced by Sullivan and discovered that he invariably flopped to his left. He therefore spent hours practising taking spot kicks against Richard Lee, always placing the ball to the keeper’s right hand side in preparation, should the need arise on the big day. We all know what happened next, although thankfully promotion was merely delayed for one more year, and I think most fans would agree that we are better equipped for the demands of the Championship now, than if we had been promoted, as we surely should have been, under Uwe Rosler in 2013. Ironic that it was finally another penalty kick, taken by Alan Judge, that cemented promotion the following season. Fortunate indeed that he actually managed to score the one that really mattered, rather than following the example of the other three he took last season, which were all frittered away. I wrote recently (http://tinyurl.com/ojje7fo) about Brentford’s totally appalling, unacceptable and catastrophic record with penalty kicks in recent decades, and it is illuminating to note that by the end of October 1956 we had already missed three penalty kicks that season, all taken by different players. Evidently we were just as poor at taking penalties back in those days as we are now. As they say, nothing changes! That leads me back nicely to the present day and the question as to who will actually take Brentford’s next penalty kick? We are currently finding goals pretty hard to come by and can hardly afford to be as profligate as we were when James Tarkowski put our last spot kick into orbit against Leeds United. Mark Warburton quite predictably, and correctly, fully backed his young defender afterwards, and stated that despite his miss, he retained full confidence in James’s prowess from the spot. I’m glad he did, because I can assure our normally astute and perspicacious team manager that his confidence is shared by precisely none of our supporters who, as one, gasped in astonishment when the gawky defender strode up to the spot, and unfortunately all of their worst fears were realised. Tarky is currently on the bench after his suspension, and, assuming he is not on the pitch when we are next awarded a penalty, and given the idiosyncrasies of most of the referees that have been inflicted upon us to date this season, that could be quite some considerable time, who will be entrusted with the kick? Alan Judge did score in the penalty shootout earlier this season at Dagenham and maybe the job will revert to him, although I would prefer Jota, Alex Pritchard or Andre Gray to be entrusted with the responsibility. All of them are confident on the ball and have the ability and temperament to choose a corner, not change their mind, and find it with aplomb. Alan McCormack, when fit, could also be an outside bet given his successful penalty in the FA Cup last season against Staines. Not the best of penalties, it must be said, but it went in. Interestingly enough, Nick Proschwitz has a powerful and accurate shot, which he regularly demonstrates in the prematch shooting practice and perhaps his time will also come. Given the two powerful and accurate spot kicks that he smacked home in shootouts against Swindon and Dagenham, Captain Fantastic, Tony Craig, also has his supporters and maybe we could do worse than give him a shot at the job that nobody really seems to want. I have now got to the stage that whenever Brentford are awarded a penalty kick I automatically assume the worst and, like Jonathan Douglas, hardly even bother to watch any more, and wait for the cheers or groans from the crowd. Apparently back in the 50s regular penalty kick taker, Jim Towers, used to hit his spot kicks so ferociously that they would either result in the keeper flinching as the ball seared past him into the net, grateful that he hadn’t got his body in the way of it, or every so often the supporters behind the goal were placed in clear and present danger of decapitation. As they say, nothing much changes! For all the optimism I publicly expressed before yesterday’s crunch match against Leeds United I have to admit that I felt pretty nervous before the kickoff. Which Brentford team would turn up? Would it be the confident team that had passed Brighton off the pitch and came so close to humbling Norwich City or the no-hopers who capitulated without much of a fight at Middlesbrough last Saturday? The match appeared to be very much a watershed that might well prove to be a lasting indication of how well we were going to do throughout the season. Every match in the Championship is like climbing a mountain and there are no easy points on offer. It would be so easy for the Bees to start feeling sorry for themselves and become overwhelmed at the level of challenges that faces them every week. As Manager Mark Warburton emphasised in his programme notes yesterday, the overriding difference between Division One and the Championship can simply be summed up in one word – quality. That is not just the quality of the opposition we face on the pitch but, just as importantly, the heightened quality of the opposition’s preparation, off field support, analysis and fitness. As we have already learned to our cost, any mistake, loss of concentration and general sloppiness which would have resulted last year in nothing more than a groan of disappointment, are this season punished ruthlessly at this exalted level, and the few chances that come along cannot be spurned. Our confidence and self belief had certainly taken a blow, and we, management, players and supporters alike, had had a whole week to stew over things without the opportunity of a midweek match to prove that this was merely a blip rather than the beginnings of a rapid descent down the league table. The upside of this delay was the squad had been able to get the spring back into their legs and also spend valuable time on the training ground all this week, not merely to lick their wounds, but also to practice all the areas that had let them down at Middlesbrough, in particular, defending from the front and being more penetrative in the final third of the pitch. Yesterday was therefore a daunting proposition, particularly given that we were playing another of the so-called “big boys” in Leeds United, a team who had graced the Premier League and European competition in recent years and whose tradition and record of success dwarfed our own. 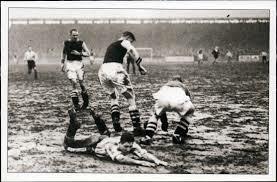 As I wrote yesterday, on the last occasion we faced the same opposition at Griffin Park we adopted a formation about as aggressive as the Maginot Line and we resembled nothing more than a tortoise with its head withdrawn within its shell, hoping to ward off the blows which would doubtless rain down upon us from our exalted opposition. We were in awe of Leeds and played accordingly and totally ceded the initiative to our opponents. Would history repeat itself yesterday afternoon or would the team have the strength of character to go out and prove that they truly belong in the Championship? Would we be out sung and intimidated by the raucous hordes of Leeds United supporters who flooded Griffin Park? Would our small and slight team be knocked off the ball and their close passing game by the Land of the Giants who emerged from the away dressing room? Well, the team provided an emphatic answer to all their critics and played Leeds United off the park and cruised to a two – nil victory which, had it not been for the acrobatics and gymnastic shot stopping of keeper Silvestri, could have ended up in a five goal thrashing. The football was slick and effective. We ran at the opposition and pulled them out of position and the interchange of passing was a joy to behold. Pritchard came back to form and threatened the opposition with his ceaseless promptings. Judge was tireless, switching from the middle to the left wing and his dribbling and accurate passing found the gaps in the porous Leeds defence. Jota started quietly but showed his true class with an eye-catching first goal for the club where he showed instant control, found space in a crowded penalty area and his fast and twinkling feet left two defenders on their backside before he found the roof of the net. A goal which came at a crucial time, just before the interval and one of real beauty as it came from a series of wonderful one touch passes under extreme pressure that tore the opposition apart. You get what you pay for and Jota is the real deal and is showing signs that he is beginning to settle down. 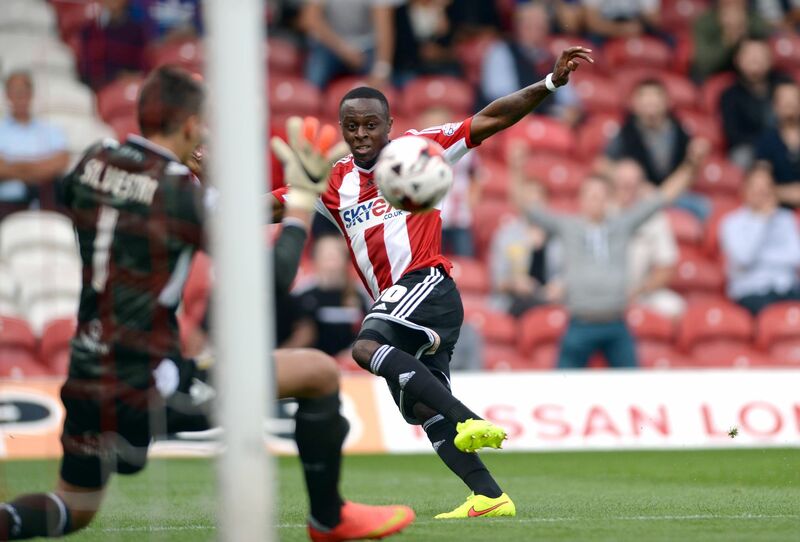 Odubajo terrified Leeds with his pace and close control and was two excellent saves away from scoring. Gray played the lone striker role to perfection, worrying the two centre halves with his pace and intelligent running. He turned beautifully early on but his goal bound effort was blocked. Douglas then threaded him through with a defence splitting pass. Pearce bundled him over and miracle of miracles, referee Dean Whitestone pointed to the spot. Craig ran up to the official no doubt to remind him of the red card he received recently for an incident, that in all honesty was far more clear cut than yesterday’s. So yellow it was, and then, to general incredulity, James Tarkowski strode up to the spot. Would he stroke the ball effortlessly into the corner of the net and give us the lead our possession fully merited? Unfortunately not as he joined the pantheon of Brentford defenders such as Peter Gelson, Jason Cousins and Leo Roget when his rising shot screamed over the cross bar and is probably still in orbit. According to his manager, Tarkowski is metronomic in his accuracy from the spot in training at Jersey Road but, as we saw yesterday, there is a massive difference between slotting them away on an empty training ground and attempting to do the same when facing hordes of manic away supporters. Tarkowski unfortunately lost his nerve and for all his manager’s post match support, which is no more than you would expect from such a master of man management, I would expect that James might well go to the back of the queue when we are next awarded a spot kick. 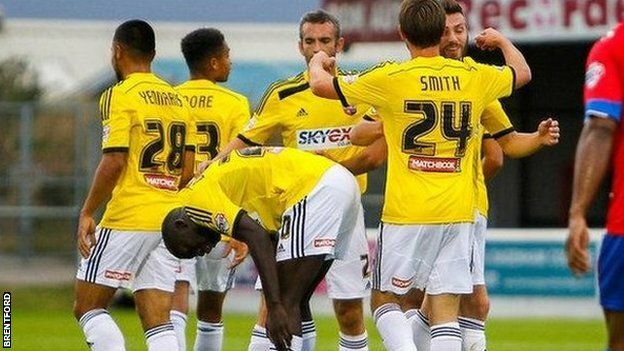 Leeds had barely threatened and the Bees fully merited their interval lead. After a brief flurry when Judge and Jota both shot over, the visitors came back in to the game when they started to play through the middle and Button was forced into an excellent stretching save from a Pearce header, but that was almost the only time that Leeds forced him into action. The sign of a good keeper is when he is called upon to make a crucial save after having had nothing to do and Button rose to his challenge. The back four won all their battles. The recalled Tony Craig provided balance and calmness and led his troops well and unobtrusively. His return made a real difference. Tarkowski put his penalty nonsense behind him and played impeccably. McCormack and Bidwell did all that was necessary and took full adavantage of the attacking space granted them by the Leeds diamond. Silvestri saved brilliantly from Gray and Moses and then foiled Tebar when the substitute tried to outguess the keeper with a subtle dink. Douglas then took a quick free kick that put McCormack away and with Moses screaming for the ball on his right, Alan strode on unopposed. Surely he would slip Moses through on goal but Leeds continued to back away and McCormack shot from just inside the area and a deflection took the ball past the keeper who had seemed almost unbeatable. 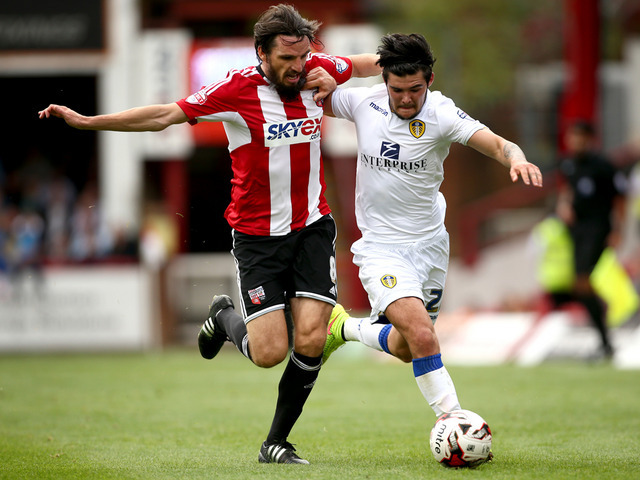 Every player was on his game but the real accolade has to go the former Leeds midfielder Jonathan Douglas who is a new man this season. He led our pressing game and was eveywhere on the pitch as he foraged tirelessly to break up the opposition attacks. What has come as a welcome surprise is that with the extra space afforded him in the Championship he has shown a real confidence on the ball and yesterday he played some beautifully weighted and subtle passes that created time, space and opportunities for his team mates. He was a true leader and inspiration. So a lot of questions were answered yesterday and we left the ground filled with pride. 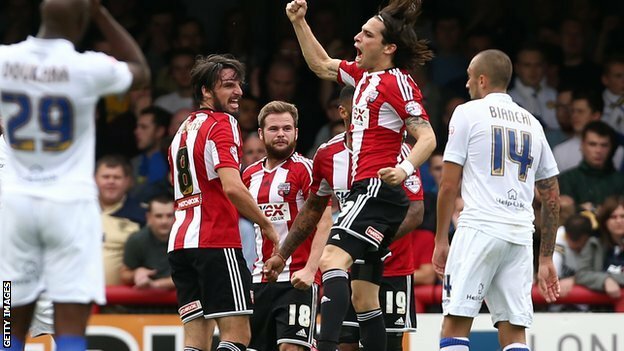 Brentford had played beautiful football and demonstrated yet again that their positive approach can obtain results. We had made a team coming off two wins look second rate. Today is a day off and the chance for us all to recover and take pleasure in what we were privileged to watch yesterday. Tomorrow the team starts to prepare to face traditional rivals Watford on Tuesday evening. The Championship is relentless and unforgiving, and yesterday proved that we are certainly up to the challenge. Who can tell me what the following figures refer to? Sorry there are no prizes on offer though! OK, I will put you all out of your misery. These figures represent the percentage of penalty kicks that we have actually managed to score over the past four seasons. In 2010/11 we managed to score a princely three out of the nine penalties we were awarded. I really cannot bring myself to say anything more about that pathetic record. The following season we scored eight of our first nine, and even when Gary Alexander missed, Niall McGinn managed to score from the rebound away at Colchester. Then it all went pear shaped and we missed two of the next four kicks including the fiasco at Stevenage when we threw away our last chance to reach the Playoffs when Donaldson and Saunders both hit the woodwork rather than the back of the net. All in all, though, nine out of thirteen (plus McGinn’s effort) represented an adequate, if not startling success rate. The last two seasons have been appalling. We managed to only score seven out of thirteen in 2012/13, culminating in Marcello Trotta’s epic failure in the promotion decider against Doncaster. Last season we actually improved, and scored eight out of fourteen penalty kicks, a figure that was indelibly tarnished once Alan Judge took over the job late in the season and missed three out of his four efforts. Confusingly enough what also has to be taken into consideration is our perfect record of six out of six successes in the promotion playoffs and shootout in 2013 – where we excelled in high pressure situations. There really is no rational explanation. What also is interesting is just how many penalty kicks we have been awarded since Uwe Rosler and Mark Warburton have taken charge at the club. Forty penalty kicks coming our way in the past three seasons just highlights how attacking we are and the success we have in getting quick players to run at the opposition in their penalty area. Some of the individual penalty records of our players also merit comment. Kevin O’Connor has scored nineteen times in twenty-four attempts and has taken more penalties than any other Brentford player since 1970. Pretty decent but still only a 79% success rate. Stephen Hunt was very reliable and but for a great save from Kuipers would have notched an almost unprecedented hat trick of penalties against Brighton and in total scored twelve out of fifteen. Steve Phillips started well but incredibly missed his last four kicks yet somehow managed to keep hold of the job until he left the club. Paul Evans too only missed once and memorably scored an arrogant dinked “Panenka” kick against Oldham back in 2001. Stan Bowles had the most casual approach, swaggering up to the spot, before dummying the keeper as well as the crowd behind the goal with nonchalant ease and rolling the ball into the corner. I never worried when Stan took the kicks and what amazes me is that he actually missed one of his twelve kicks. Back in the 70s Terry Johnson was a perfect seven out of seven and Roger Cross never missed either. Bobby Ross, my first Brentford hero won us promotion in 1972 with a perfect penalty kick against Exeter. I remember Bill Dodgin going ballistic on the touchline when Andy McCulloch was invited by his team mates to notch his hat trick with a late penalty kick against Tranmere. Hubris triumphed as the keeper smothered his weak effort. I remember Peter Gelson blasting a vital last minute spot kick against Aldershot into Brook Road and Steve Butler almost hitting the corner flag against Chesterfield. How about Andy Sinton who was entrusted with a last minute penalty kick on his Brentford debut against Bury and showed nerves of steel by slotting in the winning goal? In more recent times Adam Forshaw scored five out of six last season by varying his approach yet he always looked like missing his second attempt at Peterborough where it was patently obvious to all observers that he had no plan for how to take a second kick in the same game. Clayton Donaldson started with a successful kick at Preston before his crucial miss at Stevenage. He also totally failed to hit the target with his last two gruesome efforts at Scunthorpe and Crawley where his pathetic first minute attempt that skewed wide of Paul Jones’s post earned me an immediate red card from our living room as my barrage of choice epithets was not well received by my wife or, indeed, the dog. One of them growled menacingly at me, and – no – it wasn’t the dog. 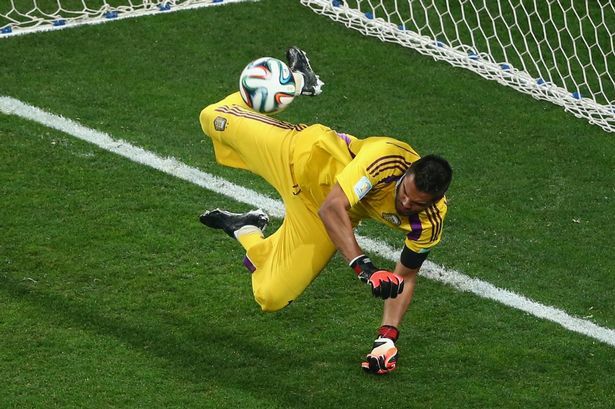 Some missed penalties have a knock-on effect on the player’s career. Who can say how Will Grigg’s season would have gone if he had managed to mark his home debut with a hat trick against Sheffield United – maybe he would have scored twenty goals and would now be looking forward to starting a new season in the Championship at Griffin Park instead of slumming it at the Moo Camp? Would he have gained some much needed confidence had he scored that penalty he missed against Yeovil soon after he came on as a substitute on his debut? Maybe he too would have gone on to justify Uwe Rosler’s faith in him? The margin between success and failure in football is so narrow. In these cases no wider than the length of a goalkeeper’s arm. Sam Saunders too, for all his dead ball prowess, obviously finds it easier to score from twenty-five yards out rather than twelve as his meagre 40% penalty kick success rate indicates. His costly miss at Sheffield United in 2013 also seems to have slipped under the radar and escaped censure given the euphoria after our last minute equaliser. I really do not know whether the best approach is the side foot, as exemplified by Bowles, or the Martin Grainger thunderbolt. Both were pretty much equally successful. As for why our recent record is so poor, heaven only knows as players like Trotta, Saunders, Forrester and Judge are all excellent strikers of a ball – sorry Clayton, but anyone on the Ealing Road terrace who was forced to spend much of the prematch shooting practice ducking Clayton’s misdirected slices as they screamed into the crowd would agree that he wasn’t the cleanest striker of a football. Maybe there is such a feeling of confidence that we believe that we are bound to score goals anyway and needn’t pay too much attention to penalty kicks? Perhaps with forty such awards in the past three seasons there is a subconscious feeling that if we miss one there is bound to be another one coming our way fairly shortly? I don’t want to hex the current Adam Forshaw saga but it would appear likely that we will be looking for a new penalty taker next season. Allan McCormack and Andre Gray have both scored from the spot, as, more memorably, did Harlee Dean and Tony Craig in the Swindon Shootout. Kevin O’Connor, I fear, is unlikely to figure enough in the first team to merit consideration. Jonathan Douglas followed Leo Roget’s example by hitting his effort at Barnet into the stratosphere so is unlikely to figure high on Mark Warburton’s list. My money is currently on Alex Pritchard unless we bring in a new striker who qualifies. I predict that the number of penalty kicks we receive next season with be less than half that of last year, but given that I am sure that every goal will count next season, we will score a far higher proportion of them. Let’s hope that this is not a jinx! In passing many, many thanks to my friend and fellow Bees author, Mark Croxford for providing all the facts that I have mangled in this article! Somewhere in the dark recesses of Youtube I am sure you can find some long-forgotten blurred and faded black and white footage of a Watney Cup tie forty-four years ago between Hull City and Manchester United. That game in a short-lived preseason tournament, heralded the first ever penalty shoot-out in a professional match in England. The first player to take a kick was George Best, and the first to miss was Denis Law. Ian McKechnie, the rotund Hull goalkeeper who Brentford fans still have clear memories of from THAT Cup tie in 1971, saved Law’s kick, and was also the first goalkeeper to take a kick; but his shot hit the crossbar and deflected over, putting Hull City out of the Cup. The penalty shootout has become recognised as perhaps the best, the fairest, the most heartbreaking and certainly the most exciting way to settle a drawn Cup tie and last night was no exception. As always there was a hero and a goat. Argentina goalkeeper Sergio Romero was the match winner plunging to make two decisive saves whilst Holland’s hapless Jasper Cillesen was unable to break his duck as four penalties whizzed past him. two of which looked eminently saveable. As for Tim Krul, who had thwarted Costa Rica so effectively if controversially in the last round, he remained helpless on the bench as Louis van Gaal was unable to produce another rabbit from his hat, having already used all three of his substitutes. Poetic justice perhaps as Krul’s gamesmanship in the previous shootout, aided and abetted by a weak referee had stuck in the craw of all but the most rabid Dutch fan. Anyone wishing to understand more about the subject is recommended to read Ben Lyttleton’s new book “Twelve Yards”, a groundbreaking and fascinating exploration and explanation of the art, psychology, history and culture of the penalty kick – and how not to miss them. Given that last night’s was the fourth match of the 2014 World Cup to be settled by a shootout then perhaps you feel that some of the teams could have done with an early sight of Ben’s book! Brentford fans are no strangers to the horrors and delights of the penalty shootout and whilst it has been unpleasant, if perhaps cathartic, to dredge up some of the memories, there have also been some triumphs. Perhaps the most painful shootout was in 1995 when a Brentford team finished second in the Second Division in the only season which saw only one automatic promotion place owing to Premier League restructuring – it’s Brentford Innit! We should have won comfortably in the Playoff Semifinal at Huddersfield where Bob Taylor’s open goal miss still rankles and amazes and the referee missed Andy Booth’s climb all over Kevin Dearden for their equaliser at Griffin Park. Penalties it was and Denny Mundee, who ironically had scored two penalties against Huddersfield in the League that season, managed to outguess himself and missed. Argentina’s Ezequiel Garay showed how a centre half should take a penalty last night, driving an Exocet of a shot into the roof of the net, straight down the middle but unfortunately Jamie Bates did not follow his example and his weak effort was easily saved by Steve Francis and the Bees had lost. I can still hear the eerie quiet that descended like a blanket of fog around Griffin Park as we filed out after the match struck dumb by shock and disbelief. Richard Lee had a wonderful penalty shootout record for the club back in 2010/11. He needed something to go right as his start at his new club had not gone well and he was out of favour with manager Andy Scott. A succession of loan keepers came in but Lee played in the Cup ties and his overall performance and then penalty save in the shootout from Jermaine Beckford won Brentford the tie against Eveton. Better was to come in the Johnstone’s Paint Trophy as he masterminded an unprecedented three successive penalty shootout victories against Leyton Orient, Swindon and then Charlton, when touched by genius, Lee saved three successive spot kicks, a feat only previously achieved by Graham Benstead against Wrexham in 1991. 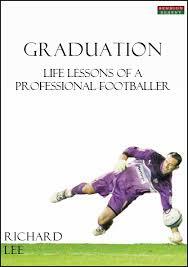 Richard’s account of how he prepared and psyched himself up for these shootouts makes for fascinating reading and I can highly recommend his book “Graduation” to all budding goalkeepers. Brentford’s last penalty shootout remains fresh in the memory as victory over Swindon in the dreaded Playoffs was secured after five perfect penalties from Sam Saunders, Paul Hayes (yes, Paul Hayes! ), Harlee Dean, an emphatic thump from skipper Tony Craig followed by a wild-eyed celebration and Adam Forshaw’s cool coup de grace. Simon Moore too played a match winning role by saving Swindon’s fourth effort and the side taking their penalties second won the day, a feat only achieved in 40% of all penalty shootouts. Love them or hate them penalty shootouts are here to stay but penalty kicks have proved to be Brentford’s nemesis on so many occasions recently and I am sure that we will return to this subject as soon as I can face it!